Stocks plunged. That doesn't mean the economy is in trouble. The economy is just as strong today as it was last week. 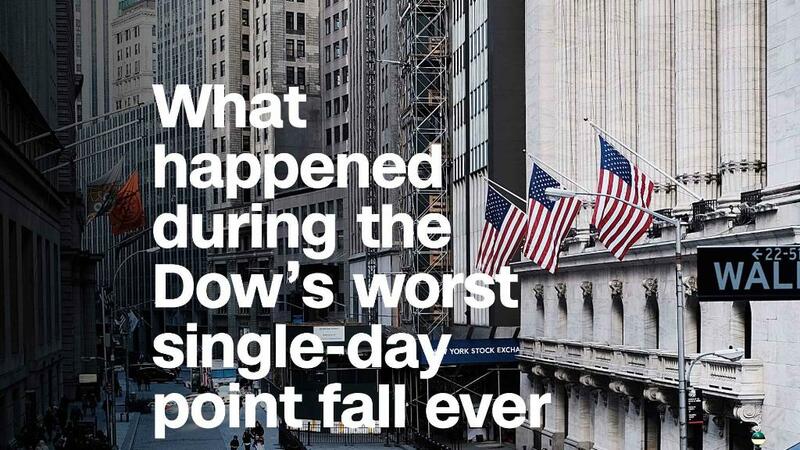 Keep that in mind as you process the Dow's breathtaking 1,175-point plunge on Monday. Stock market declines don't cause recessions, and they do a pretty poor job of predicting whether one is coming. So while the market plunge might rattle investors and ding consumer confidence, it is not a sign that the economy is in trouble. "When I look at the fundamentals for the U.S. economy, they look very solid," said chief economist PNC Financial Services Group Gus Faucher. Unemployment is at a 17-year low. Average hourly wages went up last month the most in eight years. Consumer and business confidence are near record levels. Economists say it would take a much bigger stock market move than Monday's plunge to change that. "There's no reason to read anything into what has happened in the market for the average American," said Mark Zandi, chief economist with Moody's Analytics. The Nobel prize winning economist Paul Samuelson once said: "The stock market has forecast nine of the last five recessions." He meant that there have been plenty of times when the economy continued to grow even as the market turned sharply lower. The stock market crash of 1929 is widely linked to the Great Depression that followed. But the Depression wasn't caused by the market crash alone. In fact, the "Black Monday" crash on October 19, 1987, when the Dow plunged an unthinkable 22.6% in a day, came when the U.S. economy was growing at a blistering 6.8%. The economy didn't fall into a recession until July 1990, by which time markets had already more than recovered the losses from that day.